For lunch yesterday, it was Evergreen Grill, the cozy new restaurant located in the old Pizze Stone space on Overton Park in Midtown. The menu is wide-ranging and includes a selection of soups (Minestrone and Wedding Soup) and salads (California with spinach, feta, and nuts and berries and Grilled Chicken, etc.) as well as a number of sandwiches (burgers, meatball, grilled vegetable) and mostly Italian entrees (lasagna, beef ravioli) and pasta dishes (Tomato Cream Shrimp, Sausage Arrabiata). 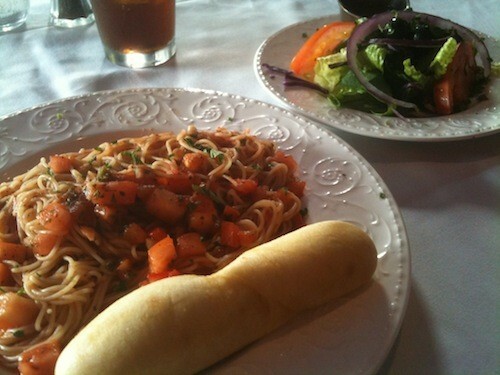 I opted for the Cappelini with angel hair pasta, tomatoes, basil, and marinara ($7 lunch, $10 dinner). With fresh tomatoes and chunks of fresh garlic, this is a nice, light pasta, perfect for lunch as it's not so heavy as to put the brakes on the rest of your afternoon. Comes with a garlic bread stick and side salad. Yes, we bullied the Lunch Martyr into choosing where we'd go for lunch. We were relentless — decide, decide, decide. 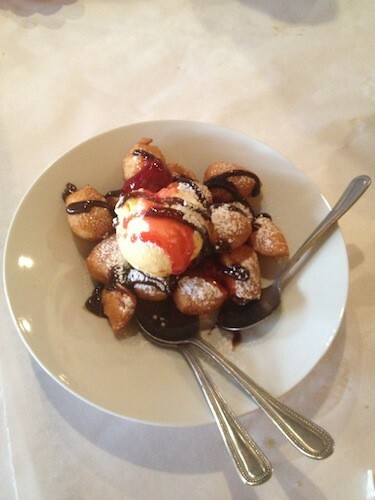 The Beignet Bits are pretty much a dessert no-brainer in the best way possible — beignets topped with ice cream and syrup. Thanks (?) to Chris Davis for pointing out this Hardees ad for the Memphis BBQ Thickburger, a cheeseburger topped with barbecue pulled pork (which sounds a lot like this burger at Tops). The commercial is an origin story, which shows, it was pointed out to me, a clear appreciation of the Craig Brewer oeuvre. What that means, of course, is that there are scantily clad and sweaty ladies lasciviously barbecuing. Perhaps the best thing about this commercial is the Twitter hashtag: #MeatEmbrace. This is some super-insider information from my good friend Tuyen (owner of New Que Huong) on where to get authentic, vegetarian Vietnamese food. This Sunday, August 26th, from 10 a.m. to 3 p.m., the Quan Am Buddhist Temple, located at 3500 South Goodlett St. near Winchester, is having a bake sale of sorts to raise money for the temple. Instead of cookies and pies, they will be selling homemade curries, soups, and authentic Vietnamese dishes packed up to go, and it's all vegetarian. I speak from experience when I tell you that the food from this sale is amazing (see image at top). This is something you don't want to miss. It's open to the public and everyone is welcome. Bianca Phillips* is associate editor at the Flyer and author of the hugely popular food blog Vegan Crunk, her no-animal-products ode to the Southern comfort food she ate while growing up in Arkansas. Next month sees the release of Bianca's first cookbook, Cookin' Crunk: Eatin' Vegan in the Dirty South featuring 140 or so recipes that pass the "crunk" test — what Bianca defines as having fun while showing pride and passion in her approach to Southern cooking. 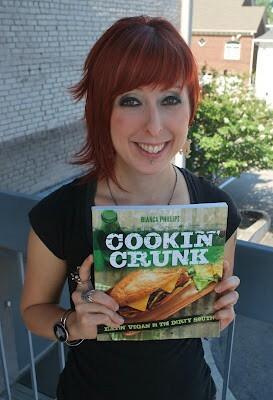 So ... you've got your blog Vegan Crunk, the "vegan" tattoo on your wrist, and, now, you have a new cookbook, Cookin' Crunk: Eatin' Vegan in the Dirty South. What's your point? I'm hoping to show people they can still enjoy classic Southern soul food without the ham hocks and bacon grease. Not only are my vegan recipes healthier than their meat-laden counterparts, but they're also kinder on the animals and the Earth. There are recipes for country fried tempeh steak, whole wheat buttermilk biscuits and chocolate gravy, a tofu chicken wafflewich with maple-dijon sauce, vegan ranch dressing, slow-simmered collard greens, peanut butter and banana "Elvis" cupcakes, and chocolate pralines to name a few. Once a year, we have a company-wide clean-up* — a day that feeds into my hoarder side. I'm not the only hoarder in the building. A coworker showed me a collection of hard discs (and if he ever needs them, he's still got his Mac Classic). And someone just could not part with a whole box of circa-1995 subscription premiums for Memphis magazine. 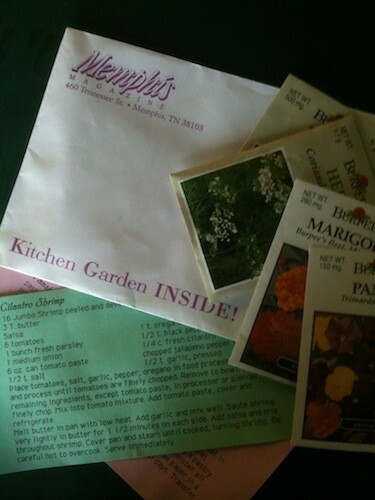 As a thank-you for subscribing to the magazine you got a "kitchen garden" — with cilantro, dill, marigold, and pansy seeds plus recipes for dilled meatballs, cilantro shrimp, and marigold cheese muffins. 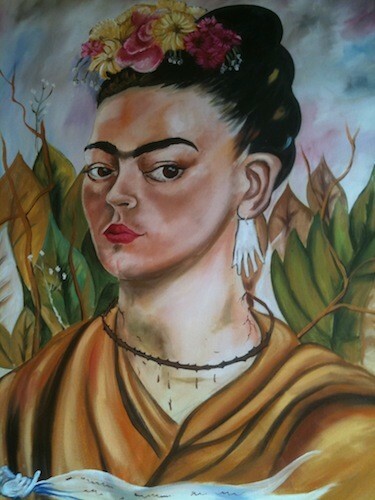 I stopped by the newly open Frida's Mexican Restaurante last week at around 4 p.m. and it was already bustling. It took over a year to get the restaurant open, and while, to my eye, the layout is roughly the same as the exorcised Zinnie's East — bar immediately at the entrance, seating to the right and booths hugging the wall at left — the transformation is remarkable. There are new tile floors, freshly painted walls, and a vibrant fountain out front. As I was looking over the menu, I heard a woman at the booth behind me say, "Beautiful, beautiful ... "
She was not, however, talking about the decor. Attention, Whole Foods shoppers, five percent of net sales on Tuesday, August 21st, will go to Memphis Mobile Market, a new nonprofit founded by UT medical students to address the issue of food deserts in the Raleigh and Frayser areas. To provide access to healthy foods to those communities, a trailer has been converted into a mini store with aisles for displaying produce and some non-perishable items. The plan is to initially have three or four stops on Saturdays and Sundays, and then expand to other days of the week. If they meet their funding goals, the Memphis Mobile Market will hit the road by late September or early October. About a year ago, I did a post about baloney boats and tweeted out the link, which led to a small flurry of responses. 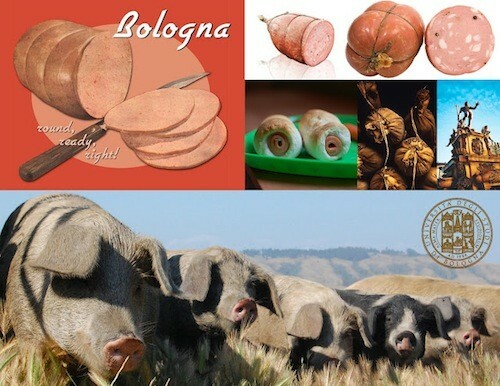 When I said I had no idea, one Twitter friend, said, "Oh, honey, there's a whole world of baloney out there. " Among the many, many features of the Cochon Heritage BBQ, happening in Memphis on Labor Day weekend, is the Best Bologna Contest. 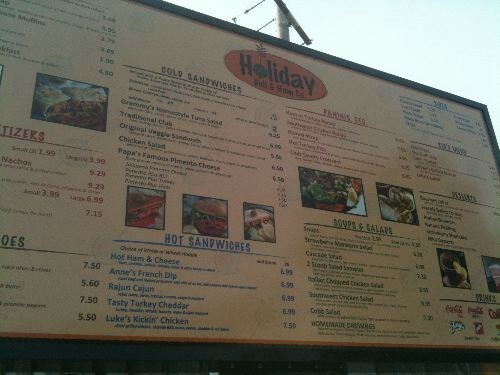 A month ago today, July 16th, the Midtown Holiday Deli & Ham opened a drive-thru, the first for the local chain. I stopped by last week to check it out, and I admit I was skeptical. But, it couldn't have been easier. Even though the order had multiple options for breads, sides, etc., it only took a minute or so, and the person manning the window was quite nice. 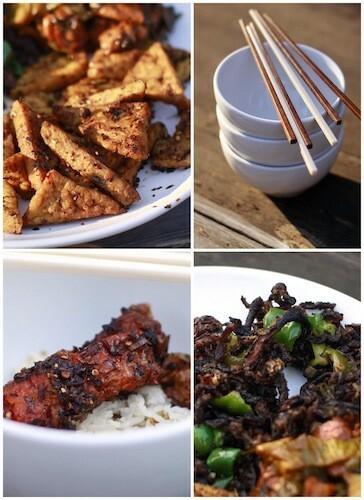 I'm definitely adding this to my repertoire of quick lunches. According to a Holiday Deli rep, a building to the east of the site was razed to make room for the drive-thru, and drive-thru purchases last week accounted to 20 percent of that location's sales. As for those pimento cheese-topped nachos, that was something I saved for dine-in. 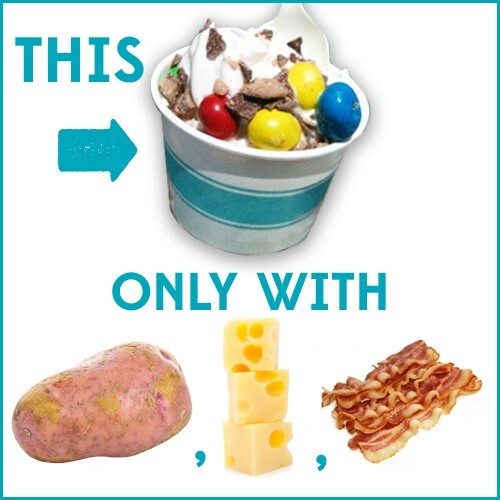 So, coworker Greg Akers was telling me that he had gone to YoLo and that he had had some mascarpone gelato and that it was good and that someone should do the YoLo concept only with meat and cheese. His thinking was that the base — the "yogurt," if you will — would be crackers or something. I pointed out that part of the allure of YoLo is the self-serve aspect, and while, sure, crackers would work, wouldn't mashed potatoes be so much better? This could work. Why wouldn't this work? Pam, Hannah, and I checked out Aldo's Pizza Pies today. 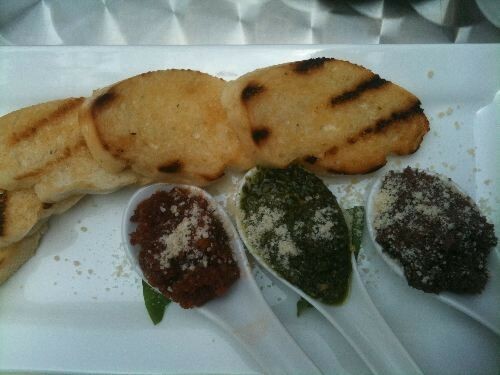 This trio started with the Bruschetta Trio ($6.50). 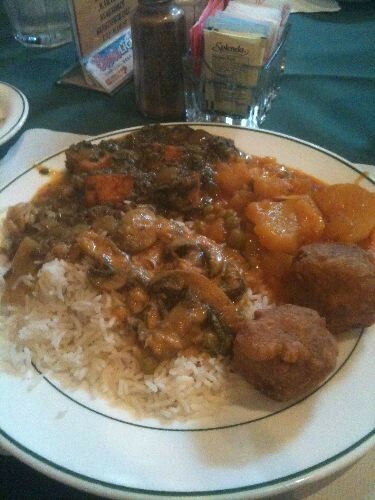 The birthday boy wanted India Palace for lunch. The rule was he gets to choose AND everything he said that day was true. The second part of the bargain was by far the toughest to swallow. So ... I was eating my egg & olive sandwich from Just for Lunch while flipping through 4 Memphis magazine, when an EZ version of "Tea for Two" started to play over the PA. The scene was totally Squaresville, but that sandwich was good, as good as any egg & olive I've had, and I liked the slightly savory poppy-seed vinaigrette on the fruit salad. 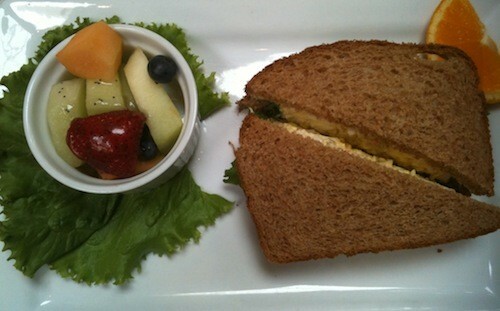 Alannah's Breakfast Kafe on N. Main offers a number of options for lunch — vegetable plates, catfish & grits, and even Interstate BBQ. Seeing as this is a "Breakfast Kafe" — motto: We serve the most important meal of the day ... ALL DAY. 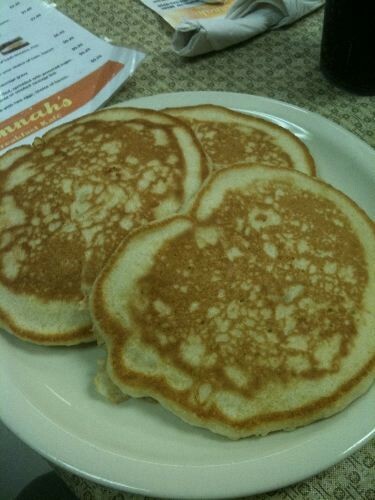 — I went for the pancakes.